Once you have decided on chartering a yacht your broker will compile a contract which will detail the chosen charter yacht, cruise dates, intended destinations and cost. The various contracts used by brokers can seem a little confusing but recently the various international charter organisations have started making the industry jargon easier to understand. 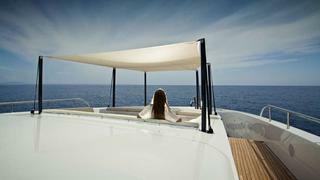 The two basic terms under which a yacht operates — which are spelled out in the contracts — are the Mediterranean Yacht Brokers Association (MYBA) terms and the Caribbean Terms Inclusive (CTI). MYBA terms is best understood as a “plus all expenses” contract. Once called Western Med Terms (WMT), these are popular because the contract allows an “À la carte” approach to services. The concept of these terms evolved because most charterers in the Mediterranean eat ashore regularly, so unused food and beverages would be a waste of their money. MYBA terms have proven to be fair to both the charterer and the yacht so most charter yachts operate on MYBA terms worldwide. CTI is sometimes known as Standard Caribbean Terms (SCT) and is best described as a “mostly all-inclusive package”. Some beverages (some include a selection of standard bar liquors and wines, while others charge extra for all beverages). EMT are still sometimes used, and these are the same as CTI terms, except they provide only breakfast and lunch on the assumption the charter guests will dine ashore in the evenings. Charter crews and charter brokers have a reputation for being discreet and highly protective about their charter clients. Nevertheless, depending upon who you are and your personal sense of privacy, a non-disclosure agreement won’t be seen as unusual. Whether you’re a celebrity who wants to avoid the paparazzi or a corporate executive carrying insider documents, such an agreement will serve to emphasise your need for privacy. As with any contract — especially one involving a yacht worth millions — it’s common sense to read it carefully and ask your charter broker any questions that arise. It is even wiser to have your legal advisor review the contract and discuss it with your charter broker.